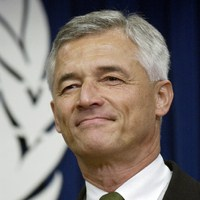 There will be many eulogies for Sergio Vieira de Mello in the weeks ahead. Next Monday, Aug. 19, marks the 10th anniversary of the death of the charismatic Brazilian United Nations official in Baghdad. The veteran of humanitarian and peacekeeping missions from Sudan to Timor-Leste had reluctantly taken the post of U.N. special representative to Iraq after the U.S. and its allies toppled Saddam Hussein. When a suicide-bomber killed him and 21 of his colleagues in an attack on their lightly guarded headquarters, U.N. officials were traumatized. He remains a totemic figure for the organization today.